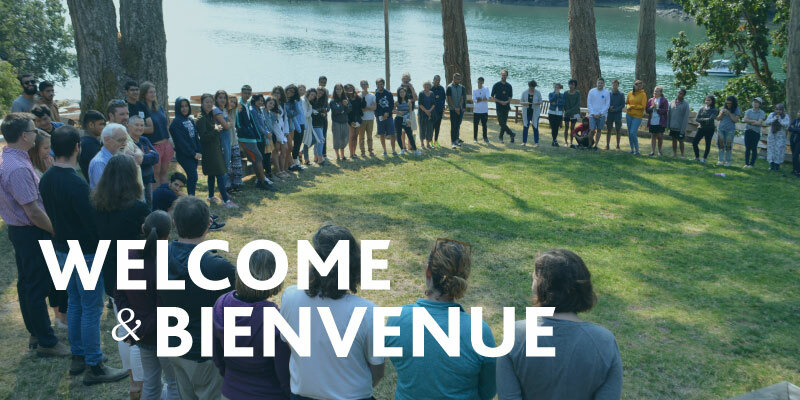 As we welcome our new and returning students we would also like to extend a very warm welcome to all new and returning faculty and staff members who have joined us since last May. In July, Kim Schille joined the Advancement and External Relations team in the role of Advancement Coordinator. Kim is responsible for gift processing and records management as well as administration and advancement services. Kim is a recent graduate of the University of Victoria and has been working with the UVIC Alumni Relations Centre since 2015. Shefa Siegel joins us in the dual role of Global Politics teacher and Global Affairs Program Coordinator. Shefa will implement and teach IB Global Politics and related courses. He will also work closely with our team to develop and coordinate the College’s Global Affairs Program, including speakers’ series and workshops led by external experts and our own community members. He brings 16 years of experience in international affairs to Pearson, specializing in environmental ethics and economic development and has conducted fieldwork in more than a dozen countries such as Guinea, Guyana and Ghana. Libby Mason, Theatre teacher and former Dean of Students, has returned from her year of academic leave during which she visited several UWC schools exchanging ideas and experiences. At the beginning of August, Jamaal Cox, longtime resident and former houseparent, accepted the role of Librarian and Learning Support Tutor. At the end of the summer, he co-led the SPELL (Summer Program for English Language Learning) Program together with faculty member Kim Meredith. Recently, Jamaal has been working at Royal Roads University in the Writing Centre helping students improve their academic writing skills. Prior to coming to Pearson, Jamaal was a teacher in Chesterfield, Virginia. Mia Bellemare joined us in August as Executive Assistant to the President and Head of College Désirée McGraw to cover for Valérie Colas’ sabbatical leave until January 2019. Mia is originally from Quebec City and has more than 10 years experience in the education industry/education management in both uni- and multi-national surroundings. She enjoys spending time with her three children and going on hikes. Arno Dirks accepted the position of the Mathematics and Physics teacher for the upcoming academic year. Arno has over 15 years of teaching experience in both disciplines. Along with his curricular interests in both mathematics and physics, Arno enjoys fostering connections with students outside the classroom, especially exploring the great outdoors of Vancouver Island. Peter Gardner is a former Pearson teacher who has accepted the position of Economics teacher, while Samuel Perez de Leon is on professional development leave for the upcoming year. He brings more than 36 years of Economics teaching of which 22 years has been teaching IB Economics. Peter also brings extensive international experience. Aleksandra (Ola) Liczner has joined us as part-time French teacher for the upcoming academic year. Aleksandra brings more than 15 years experience working and collaborating as a French teacher, using her classroom as an opportunity to instill a culture of critical thinking, creativity, autonomy and, above all, intercultural understanding. Last but not least, after his year of academic leave, Nazim Acar, re-joins the faculty as teacher of math and Sailing Instructor. Welcome (back!) to all of them and thank you for supporting our students in this new academic year on their exciting journeys.